Ever wondered what it’s like to be an elephant? Well life isn’t easy being the largest terrestrial animal on earth. Elephants are also an incredibly smart and intelligent animal. About 16-18 hours of the day are spent in food related activities: foraging and of course eating as much as 300 pounds of food everyday just to stay healthy and alive. Standing at a staggering 10 ft and weighing over 4 tons the elephant might be perceived by few to be a clumsy lumbering and bulky giant but surprisingly in spite of its incredible size, the elephant is capable of maintaining perfect balance, tread silently and travel thousands of miles in a year. Presently, There are only two major elephant species left still living but are critically endangered. These are the African and the Asian elephant. 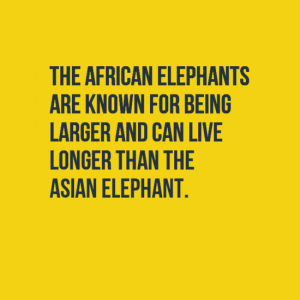 The African elephants are known for being larger and can live longer than the Asian elephant. The males weigh between 3500-6000 kg while the females weigh between 2500-3600 kg. The African elephants are less hairy and twice as large as the Asian elephants. They have bigger shaped ears and two finger like projections on the end of their trunks for a better grip. 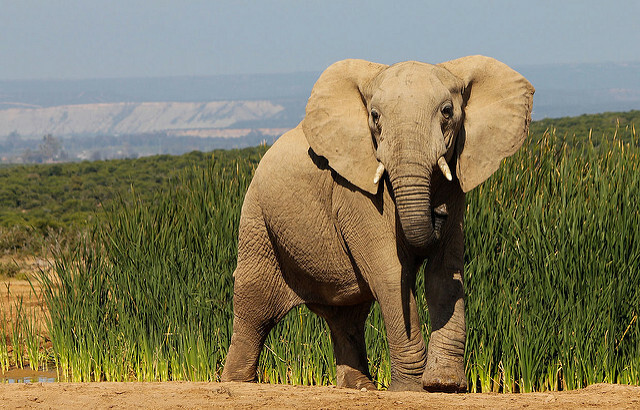 The subspecies of the African elephant includes African bush elephant and the African forest elephant. The Asian elephants are comparatively smaller and also have a shorter lifeline.They weigh between 2500-5000 kg .Their ears are smaller and rounded as compared to the ears of the African elephant. Their trunk posses one finger like projection instead of two compare with the African elephant. The subspecies of Asian elephants are Sri Lankan subspecies ,the Mainland subspecies, the Borneo subspecies and the Sumatran subspecies. Bull Elephants can grow up to 11 ft tall and can gain a little more than 5 tons, while the cows being relatively smaller have an average height of about 9 ft and weight of 3-4 tons. A new born elephant is as tall as 1 m and weighs about 120 kg . They stay with the female elephants including mother, grandmother and siblings. When a young elephant reached the age of 12-15 years old, they are now ready to leave their mothers. Elephants have the longest gestation period of all the mammals which is an overwhelming 22 months. Since they have a very long pregnancy period , elephants definitely cannot spend that amount of energy and food so often to give birth very frequently. Thus, every female elephant takes care of their newborns very well to ensure their survival. Aside from that, they also adopt orphaned calves and thereby reduce the need to give birth more than once in four years. Amazingly at birth, Newborns are able to stand up in about 2 hours after birth and weighing around 91 kg. They can neck down almost 14 liters of milk every day. The male adult elephants usually roam separately from the females and they form their own all male social group. The average lifespan of an Asian elephant is 50 years while the African elephant is about 70 years. The oldest elephant that was ever recorded is surprisingly 82 years old. The trunk, tusks and the ear flaps are the most distinct parts of an elephant. Elephants have evolved over time to have a pair of king size flaps as ears and a water hose for a nose. Also they are armed with two ivory knives like tusks which are enough to make every predator to think twice. The trunk of an elephant is about 7-8 ft in length about 150 kg in weight and consists of about 100000 muscles making it the most multi-talented organ that an elephant has. An elephant can lift about 400 kg with its trunk, use it like a snorkel while going under water, spray water and mud all over its body , They used mud as a sunscreen, protecting their body to too much heat, They also use their trunk for feeding themselves. The size of the tusk varies from 1.5-1.8 m for males and .05-1 m for females. The tusks are modified incisors useful for making territories, self defense and of course for fighting and threatening. The tusks weigh about 50 kg for males and 20 kg for females. Apart from the tusks, the elephant has 24 teeth which serve their real purpose of chewing. The chewing teeth include 12 molars and 12 premolars. An elephant’s ear is about 1/6th of it body size in length and just 0.05 inches thick. The ears provide spatial awareness to the elephant. Also they used it as air flaps for cooling down the elephant’s body. Having large ears gives the elephant extraordinary hearing which seems more or less like a recompense for its poor eyesight. The elephants have a very rough and folded skin which allows their body to have an increased surface area and hence attain lower temperature. Elephants have a pair of beady eyes that contains large eyelashes for protection. Elephants can only see up to 20 meters. Hence, they greatly rely on their other senses. An elephant’s brain is approximately 5 kg in weight and is amongst the biggest brain on the planet . An elephant has a well developed cerebrum and cerebellum allowing it to have a great memory and also experience various emotions. Elephants are amongst the only animals apart from primates to be able to feel complex emotions like grievance for a dead member of the herd and the feeling of compassion towards orphaned calves. An elephant’s heart weighs at about 20 kg and has a rather circular structure.the secret of the elephants long life line is its extremely low heart ranging between 25-30 beats per minute. The African elephant has a humongous appetite of 300 kg of food a day while the Asian elephants need to eat up to 150 kg of food every day. Most of their diet consists of leaves, grass, bushes, etc. Tree barks are considered to be the most nutritious food in an elephant’s diet. It provides them with calcium and other essential minerals which assist digestion. 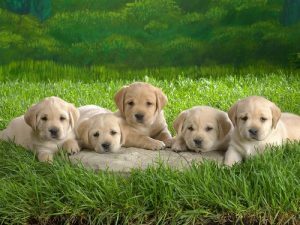 Their diet also includes hay,rice,apples,bananas,bamboos , twigs and roots. Apparently these giants creatures ingest several hundreds pounds of vegetation every day that they can find while roaming. The Indian elephants are known to like sugar cane a lot to the point that they cause damages to to get it. They tend to raid and ruin rice paddies which causes conflict between them and farmers. Elephants have an extremely special fondness for various salts which help in their digestion and regulation of body fluids. They dig up the ground using their tusk to get salt and minerals. 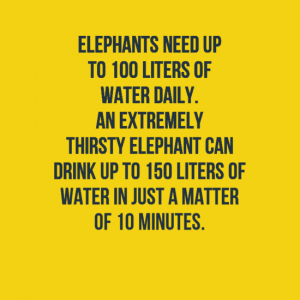 In addition to that, elephants also drinks a lot, they need up to 100 liters of water daily. An extremely thirsty elephant can drink up to 150 liters of water in just a matter of 10 minutes. Elephants would in fact be quite some superheroes considering how gifted they are. Apart from having a Swiss Army knife for a nose they also have phenomenal sniffing skills enabling them to locate water from 12 kilometers away. 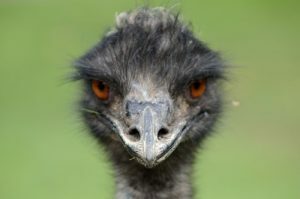 They can also communicate with other herd members 4 kilometers away by using infrasonic sound which they emit by purring like cats and they pick infrasonic pitches through their feet. This way they can transmit short encrypted messages over long distances. 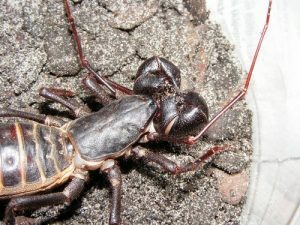 They are able to pick up these pitches by using their extra sensitive feet and overactive, extra large ears with large tympanic membranes and ear canals. Elephants have also a padded feet so they can literally walk like ninjas. They also have an enhanced sense of touch especially in the trunk allowing them to sense even the minutest pressures of touches. Apart from these amazing sensory skills, elephants also have unbelievable social skills which are as cool as their sense of smell. Elephants are renowned for having formed strong bonds with all their herd members and mourning their dead just like humans as they are capable of feeling such complex emotions which is a rarity amongst animals. 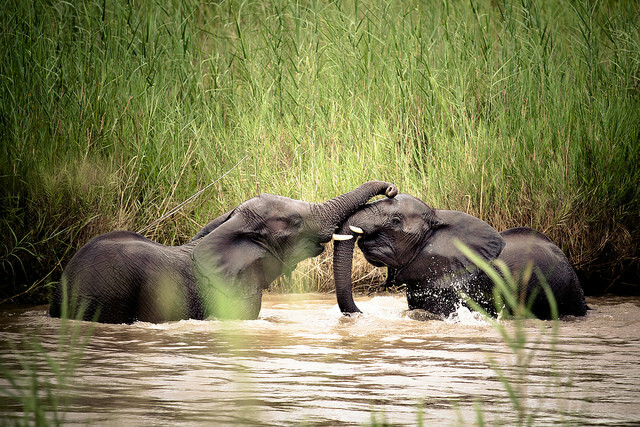 Apart from mourning, elephants also touch the corpse of their comrade which is considered as an act of paying homage. Elephants have also been seen avoiding the areas where their herd members have died, which is considered as an evolutionary trait. 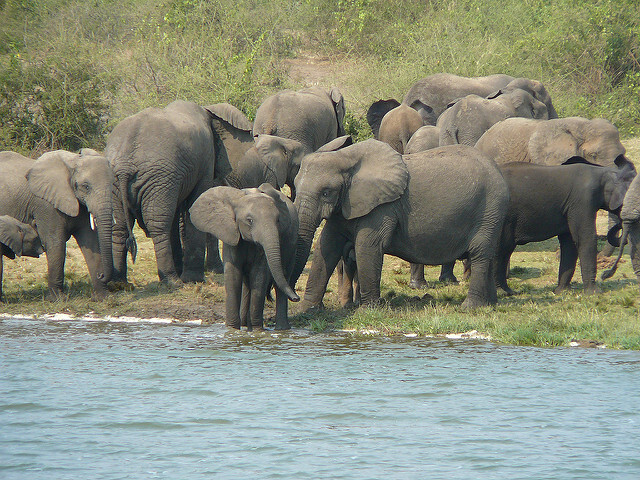 At present, there are about 700,000 African elephants and 35,000 Asian elephants alive. At the beginning of the 21st century, there were about 4 million African elephants and about 100,000 Asian elephants. Most of this population is found in the Botswana, Tanzania, Zimbabwe, Kenya, Zambia and South Africa while the Asian elephants are mostly found in certain parts of India and Sri Lanka. 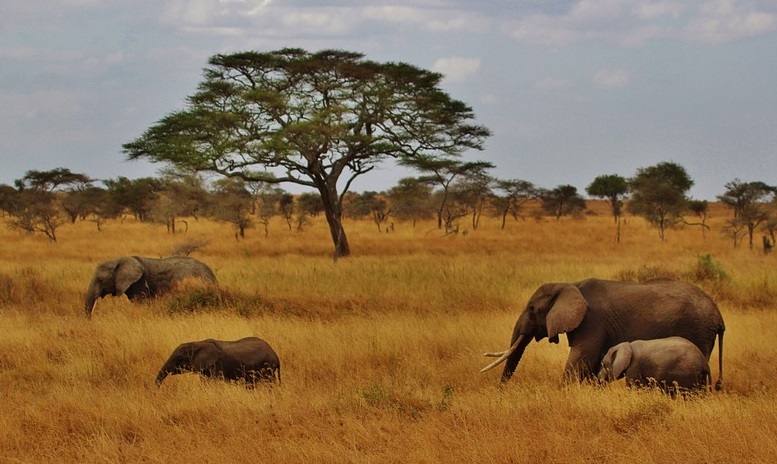 Only about 40% of the total elephant population is under formally protected areas. Prior to the 80’s, the numbers of elephants is about twice the land. The main reason for the decrease of elephant’s population is poaching for their ivory while loss of habitat is considered to be the second most critical reason for the decline in elephant population. Some envisioned that climate change can also be a threat to their existence. Today, there are continues efforts made by many conservancies to save the existing species of elephant.